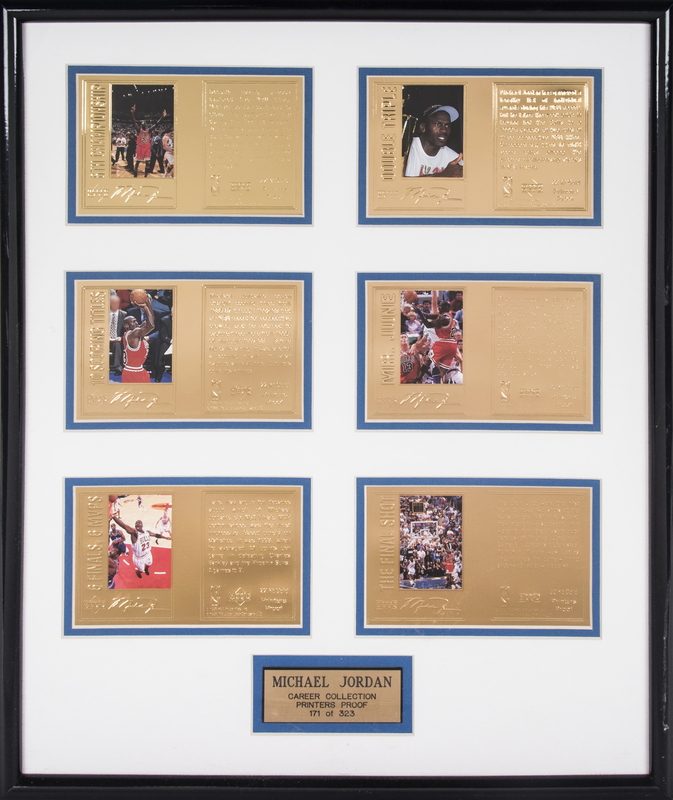 Displayed in this 17 x 21-inch frame are six Upper Deck printer’s proofs for their 1998 Michael Jordan career retrospective. 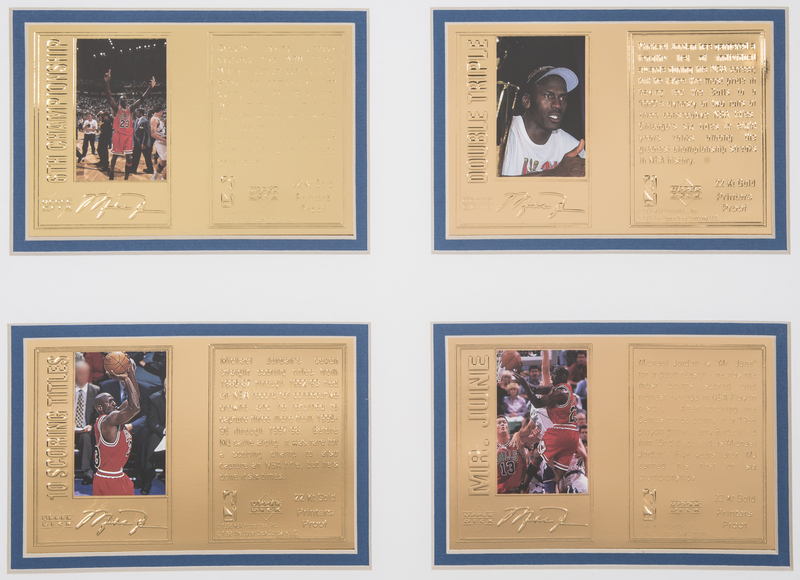 These proofs are made of 22Kt gold and feature iconic images from MJ’s career. 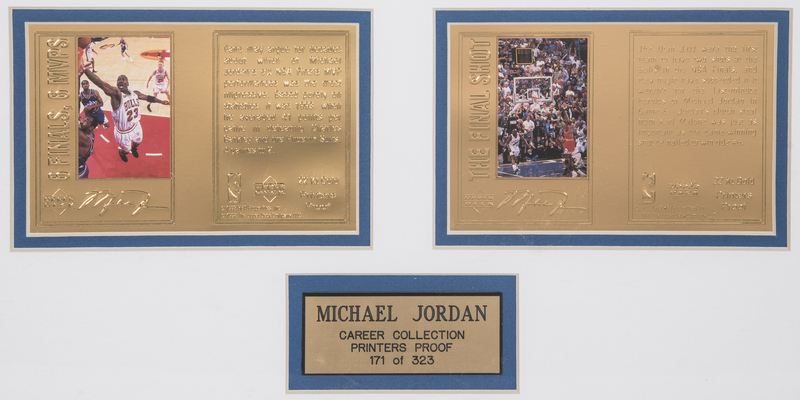 Below the proofs is a placard that reads “Michael Jordan / Career Collection / Printers Proof / 171 of 323”. 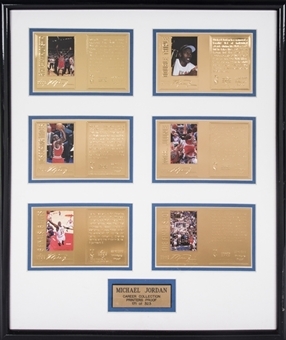 These proofs are an excellent display piece for any fan of Michael Jordan or the NBA.